Bodmin moor was glistening this morning with strange frozen hail which was covering the signs and backs of the tough moorland cattle. Our hire car is comfortable and roomy… Roomy enough for all the mixed emotions filling it up. Mainly we are very excited. But there is a little sadness about the friends we will miss and our dog Ethel. And there are nerves… Naturally. We are now officially home schooling our children and are basically living nomadic lives with just the few belongings we have with us… Which already includes wee soaked jeans when one of the boys missed the Travel John… Our boys do seem to wee with incredible frequency which doesn’t help with the already tricky car travel element of the adventure… They’ll get the hang of it though, they’ll have to! As I write this we are going over the Severn Bridge into Wales for our first night away, staying with friends near Swansea. Tomorrow evening we push onto Derby. 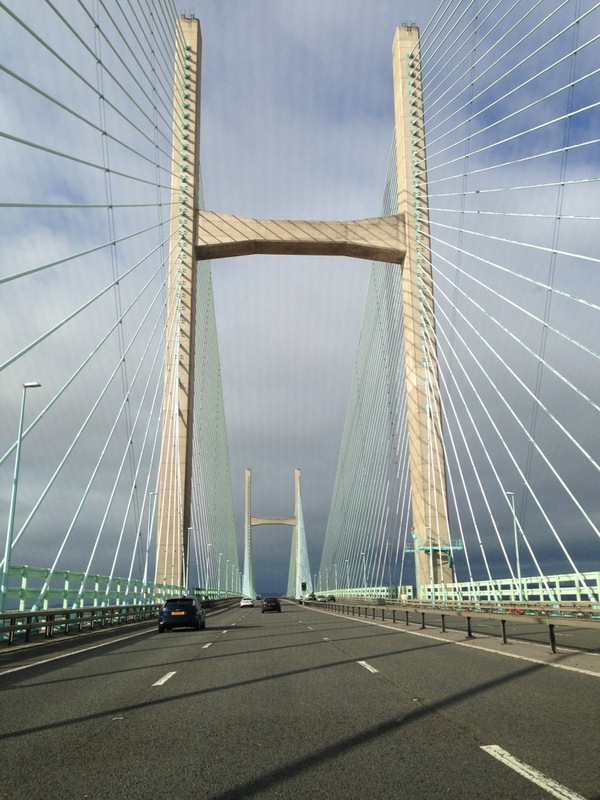 This entry was posted in Uncategorized and tagged adventure, setting off, Severn Bridge, travel with kids, Wales on February 1, 2014 by Muma Dean. Glad your away safely, hope the traffic isnt too bad in wales what with the rugby on. Ethel is fine, but sure she is missing you all although running and jumping in the garden between the rain showers has kept her busy! Have fun all of you, much love Ethel and family. Thanks… We are certainly set for adventure 🙂 hope you enjoy our ride too!